I think there is something to love about every season. But for me nothing can compare to the gorgeous displays of flowers during the summer. 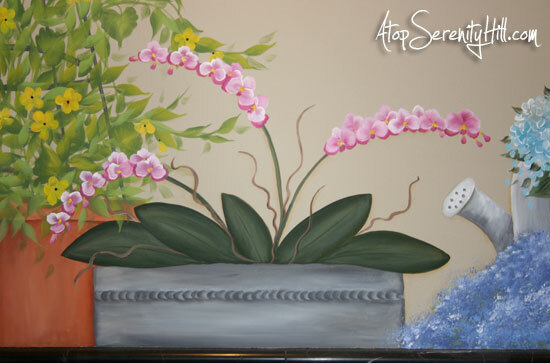 I finally had a chance to photograph a garden mural I painted for my client Jeannine last summer. 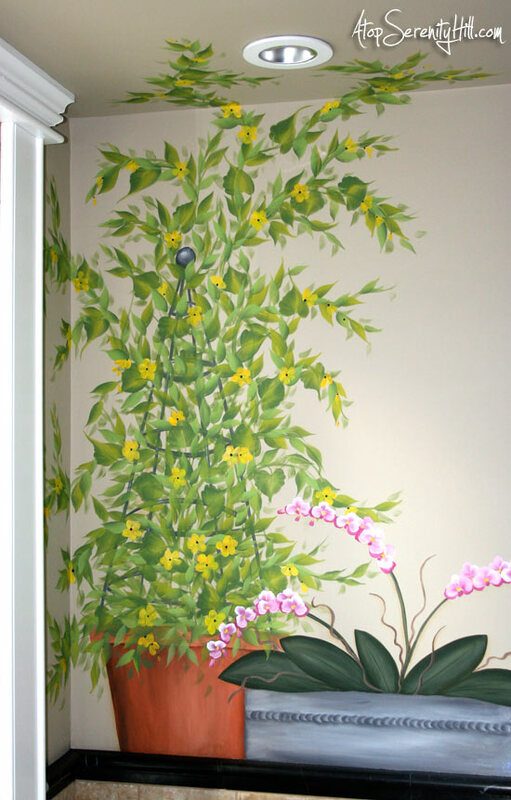 (You can find pictures of her son’s bedroom here). 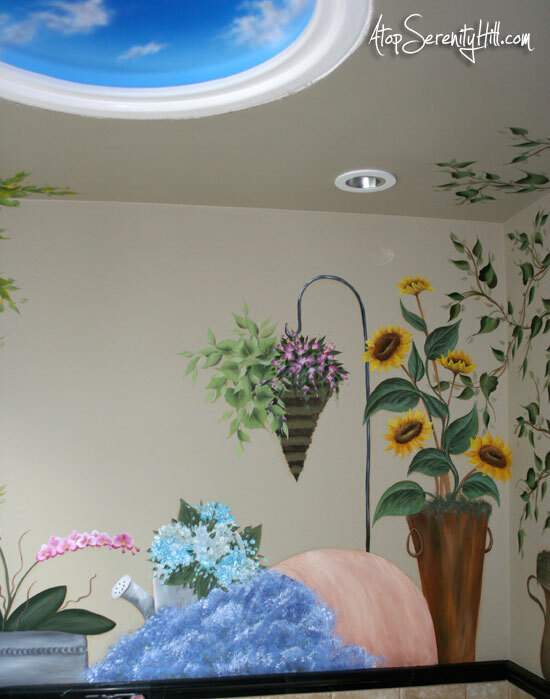 Jeannine wanted to be able to relax in the tub of her new master bathroom and feel that she was outside in her garden. These flowers represent all of her favorites (and some of mine, as well!). Do you think you would be able to relax with this surrounding you??! I know I could! 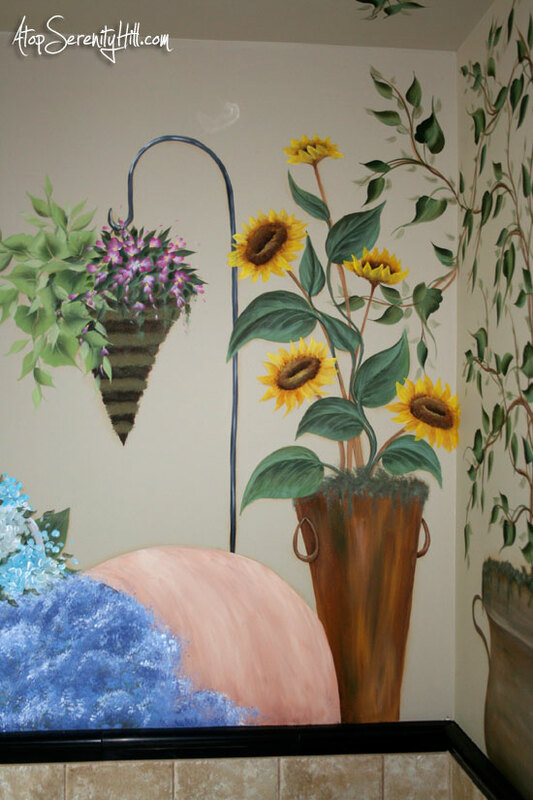 PS…if you live in NJ, metro NY or the Lehigh Valley area of PA, and would like to have a mural painted, please visit my website to set up a consultation! Wow. You’ve got some mad skillz, lady…makes me wish that I lived out east so that I my home could benefit from your brilliance! So glad to have “met” you on Sverve! Thanks, Sue! You can always fly me to where ever you are! 😉 Have a fab week! 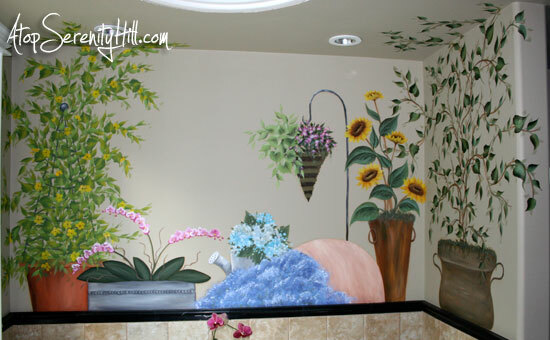 Considering moving to PA, NJ or NY just so you can paint a mural for me. Absolutely beautiful! Thanks for sharing at Inspire Us Thursday on Organized 31. 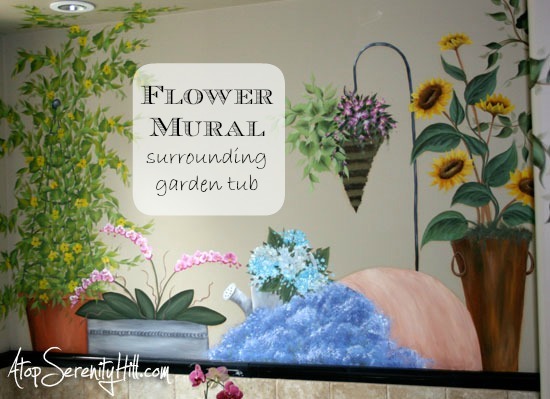 You did a fabulous job with the mural!